The Norwegian government has repeatedly proposed implementing tuition fees for students outside of the EU. The International Students Union of Norway (ISU), in cooperation with several other student organizations, has fought against the proposal, and been successful, at least so far. This year, the government proposes ending a funding program for students from developing countries and countries in Central and Eastern Europe and Central Asia called the “Quota Scheme.” This program offers 1,100 spots at any given time for students to take a degree in Norway who may have otherwise not had the opportunity to do so. The primary objective of the program is for the students to get an education that will benefit their home country. More than 70 percent of the students from developing countries on the Quota program return home after their studies are completed. A government-commissioned evaluation revealed that there were some issues with the program. Concerns were raised, for example, over the large amount of resources that went into its administration, with the government not knowing whether the students stayed in their home country or not. The government thus proposes replacing the Quota Scheme with two alternative programs: one that works on short-term exchanges with the Global South, and another that creates a ‘Panorama’ program with the BRICS countries (including Brazil, India, and China). ISU opposes the replacement programs because they are vaguely described, incomplete, and have entirely different objectives than education for development. These actions also go against the recommendations from the evaluation that recommended improving the Quota Scheme, not scrapping it. 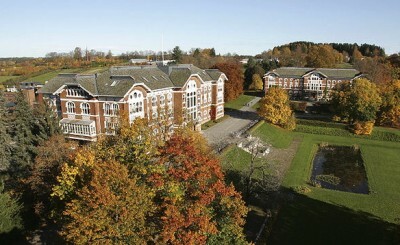 Representatives from academia have expressed support for the Quota Scheme, including University of Oslo Rector Ole Petter Ottersen, and several department heads such as Poul Wisborg, the head of the Department of International Environment and Development Studies at the Norwegian University of Life Sciences. Despite the importance of this program, there has been a lack of attention on its possible demise. Many university faculties are still in the dark, yet some of their programs could be shut down without the funding the Quota Scheme provides to its researchers. With negotiations on the state budget nearing an end, ISU seeks the support of the Liberal and Christian Democrats parties, which have lobbied for education and development in the past. Without the Quota Scheme, students from developing countries will have little chance of fulfilling the study permit requirements to take a full degree in Norway.